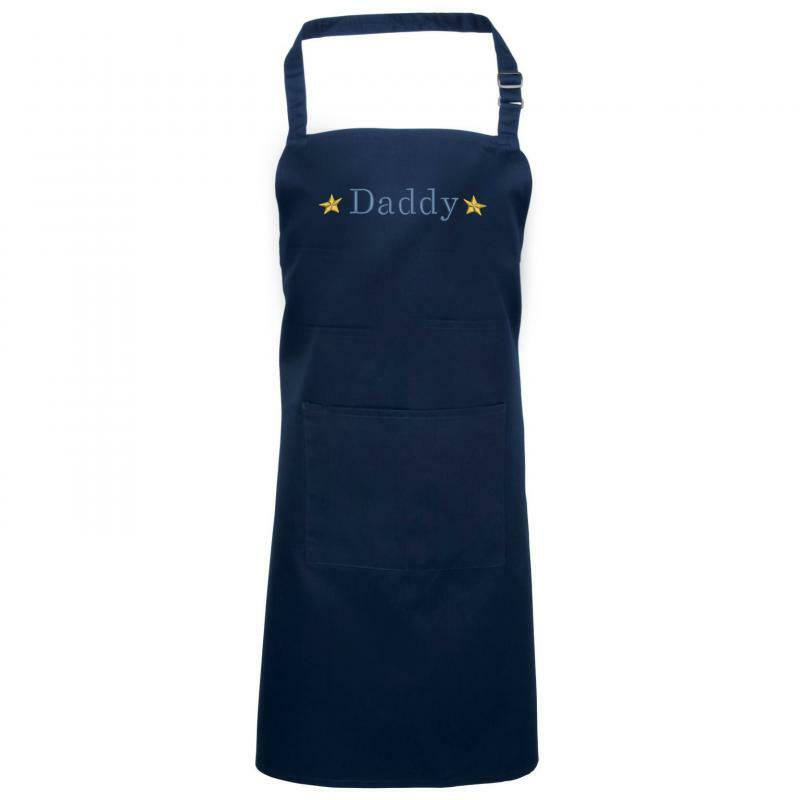 This daddy apron would make a lovely gift for a dad who loves cooking. Matching kids aprons available. The apron can be personalised with any text you wish, 2 stars would be added next to the text.